Everyone’s blaming the oil price collapse and China’s sliding economy, for the rout of the stock market these first two weeks of 2016. That’s part of the story, but there may also be a policy explanation for the bearish sell-off. If you seek a pleasant beer, look about you. That is what Michigan’s state motto should be. Home to the world’s third and fifth best breweries, the Great Lakes State is ranked fifth for the most breweries, microbreweries, and brewpubs per state in the nation. As one of our over 5.7 million FreedomWorks activists nationwide, I urge you to contact your senators and ask them to vote NO on the Energy Policy Modernization Act. S. 2012. This bill contains a grab bag of small provisions that add up to a major expansion of the federal government’s incessant meddling in the energy sector. Known for its beautiful landscape, unforgiving weather conditions, and stunningly beautiful Aurora Borealis lights display, America’s last frontier continues to venture through paths unfrequented. Combating the kraken-like reach of the regulatory state is one of FreedomWorks major initiatives for 2016. While the constitution grants Congress the power to legislate, recent administrations have chosen to circumvent this authority, using regulatory agencies instead to advance their agenda and create de facto laws. Regulations are especially dangerous to liberty, because those craft them are not elected and therefore not accountable to the people. For this reason, rules are often arbitrary, capricious, and selectively enforced. Sometimes, they are downright absurd. If you want an update like this newsletter twice a week, be sure to sign up for the FreedomWorks Morning Update! The Morning Update is your tool to keep up-to-date with all the threats to your freedom. Sign up here. When everything went wrong, six men had the courage to do what was right. Learn More. Take a Stand. Attend the Conference. Senior U.S. Military Representative to United Nations. 7 to 9 PM Conference Speakers (doors open 6:30 PM), admission free. Reagan confounded most of his biographers. He kept his personality obscure and hidden from view. He was known throughout the world as an effective leader yet the world was never on intimate terms with him. The fact is that Reagan, now ranked by every poll as in the top five of all presidents in American history, was a success because of his inner character, values, and faith. Rosebush will share his first hand experiences with the president and the revelations about what made him great. An inspiring and personal reminiscence that relates to issues of great concern about character and leadership today. If you're like most Tea Party Patriots, you're tired of the mainstream media driving the narrative on the GOP primary and our candidates. We've already seen several debates, but they've always left us wanting more. More substance, a better explanation of ideas, and most of all, more one on one time with the candidates themselves. That's why we're so excited to announce that on Thursday, February 18th, in Greenville, South Carolina, Conservative Review's holding the first-ever Conservative Review Conservative Convention! 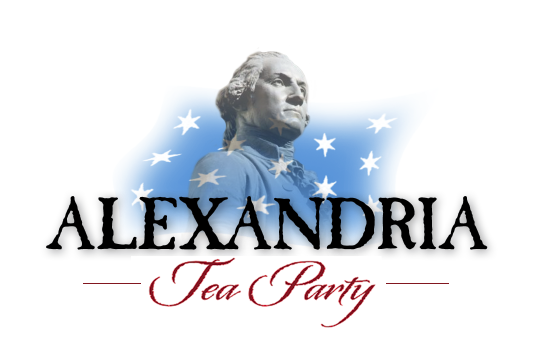 Tea Party Patriots is a proud sponsor of the convention, and we want to let our supporters in the area know about this exciting event. Not only are we inviting GOP candidates, but have confirmed an all-star lineup of conservatives like David Limbaugh, Senator Mike Lee,Dan Bongino, as well as CR's Editor-in-Chief Mark Levin andSenior Editor Michelle Malkin. This is going to be a great event for the whole family and will finally give you an opportunity to cut through the noise and hear the candidates' plans for our country. And even better, CR Insiders get free tickets to this can't-miss event! So, mark your calendars now for February 18th in Greenville, just 2 days before the South Carolina primary. 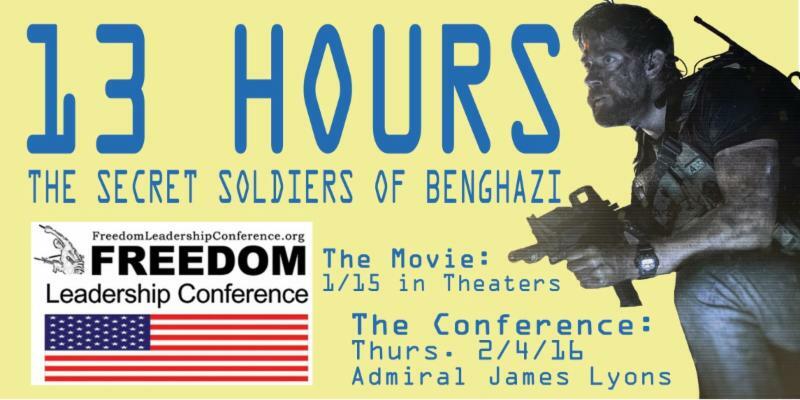 To get more information and to reserve your tickets now, visit conservativereview.com/convention. Somehow, I do not believe this is within their scope of authority!! Common Core is one of Obama’s crowning jewels. Like ObamaCare, it’s a key to completing his “fundamental transformation” of America. He knows that whoever controls the schools, controls America’s future. And that’s what Common Core is all about, giving DC control over your local schools. This is wrong, and if you want to fight it, sign our stop Common Core petition today. Robert, FreedomWorks believes that students should be taught by teachers, not brainwashed by bureaucrats in Washington. That’s why we’re willing to wage a full grassroots campaign to take down Common Core. But if we’re going to do it we’ve got to know we’ve got your support. We need to know that you’re dedicated to making 2016 Common Core’s last year. If you are, then sign the petition right now. Let’s show Obama and his DC Bureaucrats how freedom works. Enjoy this update from the campaign trail! This week, FreedomWorks PAC announced its endorsement of Rep. Walter Jones in North Carolina’s 3rd Congressional District. Jones has long been an independent thinker in Congress, never content to toe the party line. He was one of the 25 Republicans who voted against John Boehner’s reelection as Speaker of the House, and has never shown any qualms about going against leadership. For the past three years, Jones has won our annual FreedomFighter Award for scoring over 90 percent on the FreedomWorks Congressional Scorecard. He’s been a principled opponent of ObamaCare and wasteful spending, and has voted to support your civil liberties against government surveillance again and again. Click here to support Rep. Walter Jones. One of Tim Huelskamp’s primary challengers is boasting from a good year of fundraising. While the official FEC reports have not yet been made public, Roger Marshall claims half a million dollars in contributions at the end of 2015. This sounds impressive, but it’s important to note that $150,000 of that has been loaned to the campaign by Marshall himself. Marshall has also accepted donations from the American Congress of OB-GYNs PAC, which supported expanding Medicaid under ObamaCare. Meanwhile, Huelskamp’s team is reporting a balance of $774,000 at the end of the year, clear evidence that grassroots conservatives recognize Huelskamp as a genuine freedom fighter, not some establishment choice trying to buy his way into the seat. Click here to support Rep. Tim Huelskamp. The recent turmoil in the stock market reminds us of the importance of economic literacy in our elected officials. When lawmakers don’t understand how the economy works, they vote for bad policies that slow growth and cost American jobs. Dave Brat is one of the few who really gets it. Before his historic defeat of House Majority Leader Eric Cantor, Brat taught economics at Randolph-Macon College for nearly 20 years. He understands that free markets, not government regulations, are what have made America the bastion of wealth and freedom it is today, and has spent his first term in Congress fighting to roll back the Obama Administration’s worst offenses. Most recently, he voted to oppose the Waters of the United States rule, in which the EPA seeks to redesignate private ditches, gullies, and ponds as “navigable waterways” in order to deprive landowners of their property rights. Click here to support Rep. Dave Brat's campaign. Thomas Massie was first elected in 2012, following the rise of the tea party in 2009, so it’s understandable that he has deep ties to the movement. This week, he discussed the future of liberty in the U.S. with Reason Magazine’s Matt Welch. Unsurprisingly, Massie remains optimistic, and views the tea party as very much still alive, pointing to his home state of Kentucky’s recent election of Matt Bevin as Governor. And with people like Thomas Massie in office, there is good reason to be optimistic. Each year, he continues to introduce bold legislation to advance freedom in all of its forms. He has refused to compromise or back down, and for that, the establishment hates him. But time is running out for them to find a challenger for Thomas Massie. If they’re going to do it, it needs to be soon, and that’s why it’s important that we continue to show them that we have Thomas’ back. Click here to support Rep. Thomas Massie. Stay tuned for more news of FreedomWorks PAC’s endorsed candidates as this very exciting election year progresses! As you know, FreedomWorks PAC covers all processing fees so 100% of your generous contribution will go directly to these principled conservatives’ campaigns. Contributions to federal candidates and FreedomWorks PAC are not tax deductible as charitable contributions for federal income tax purposes. Protect Your 2nd Amendment Rights! GOP still knocking on Romney's door?